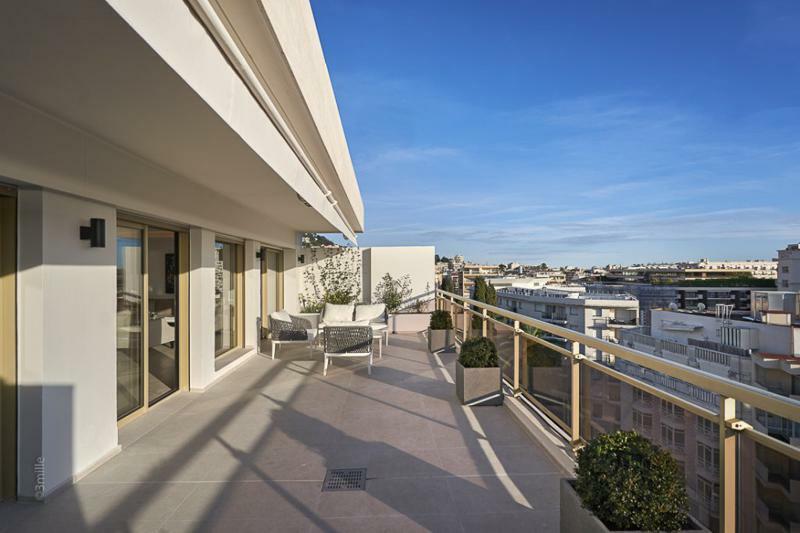 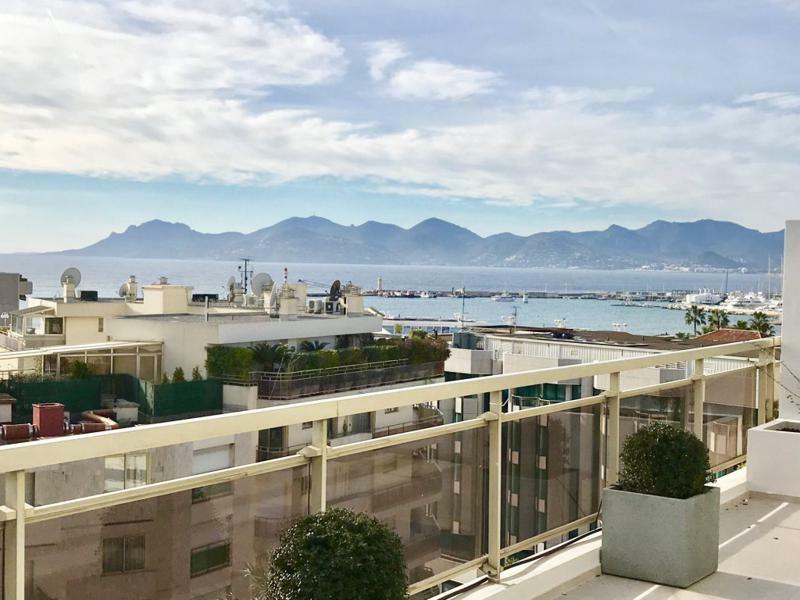 This 8th floor penthouse apartment is perfectly situated for attending conferences, as it's a short 10 minute walk to the Palais des Festivals. 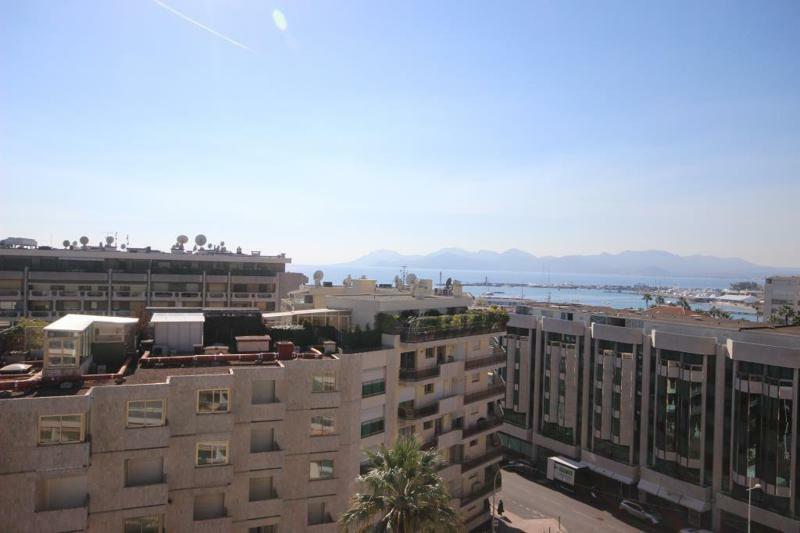 The terrace of this apartment is incredible and will have you wanting to spend as much time as possible relaxing on the patio furniture, taking in the sunshine and gorgeous view of the Mediterranean. 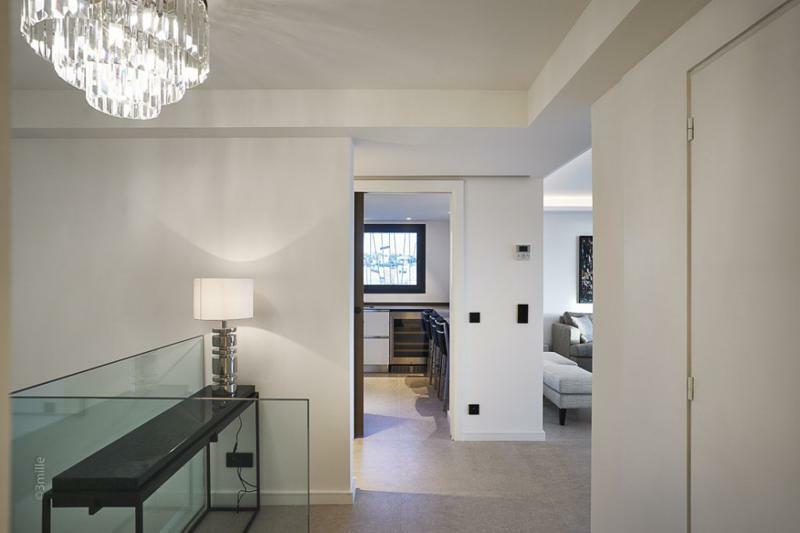 It's decorated in modern style and has everything you could need during your stay. 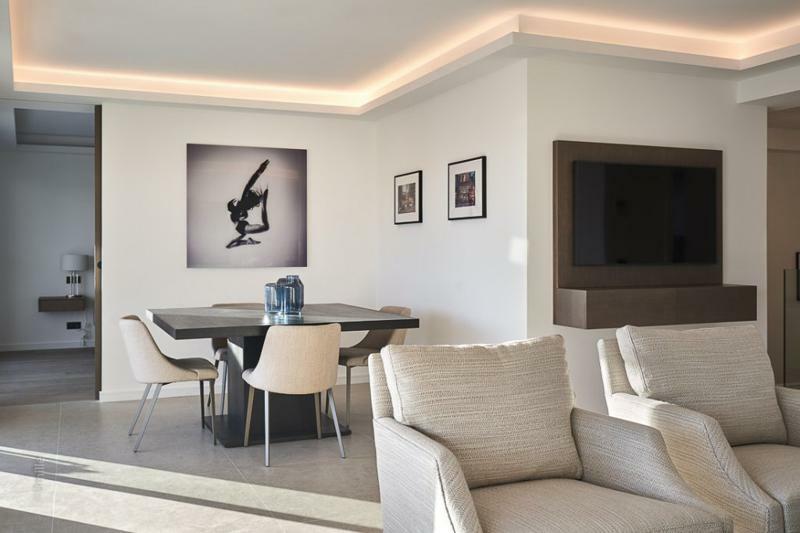 The living room is spacious with a sofa, chairs, and dining table and can be used for business meetings. 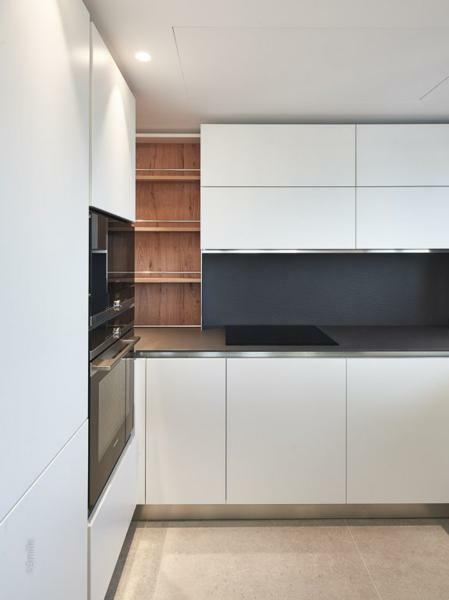 There is also a fully equipped kitchen as well as a guest toilet. 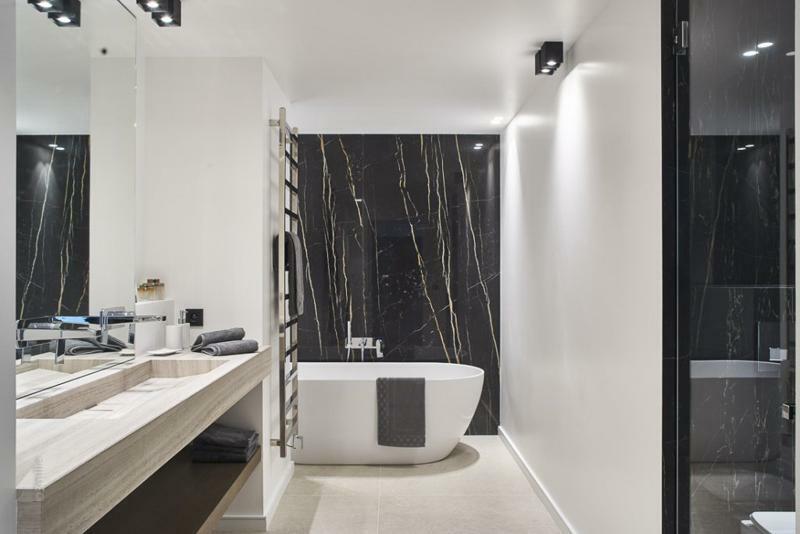 The 3 bedrooms provide double beds and the 3 bathrooms have a shower and toilet. 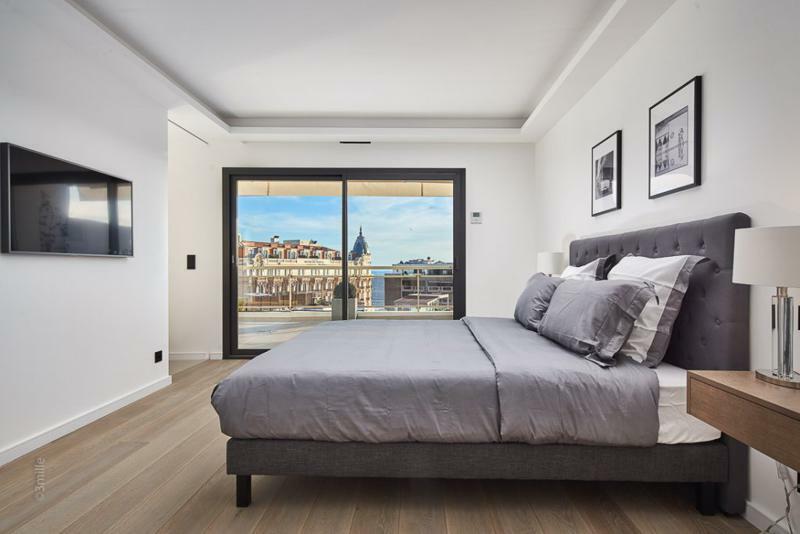 Other amenities include: elevator, air conditioning, heating, and parking is also available. 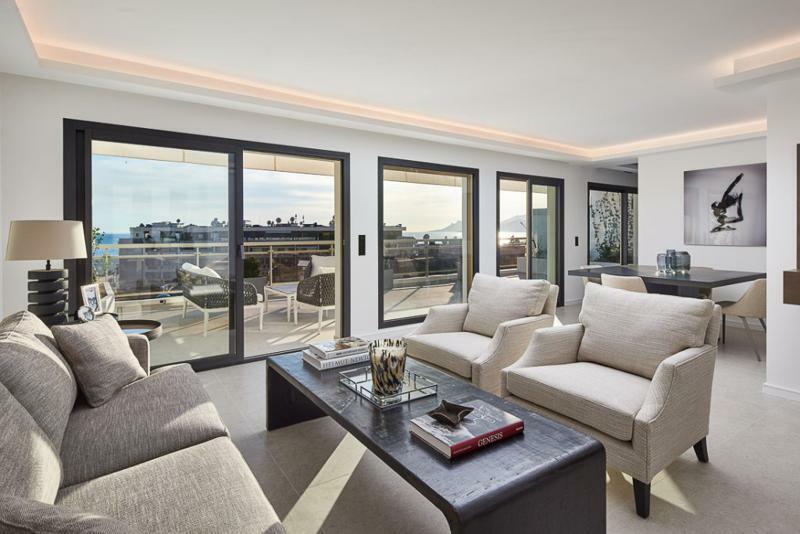 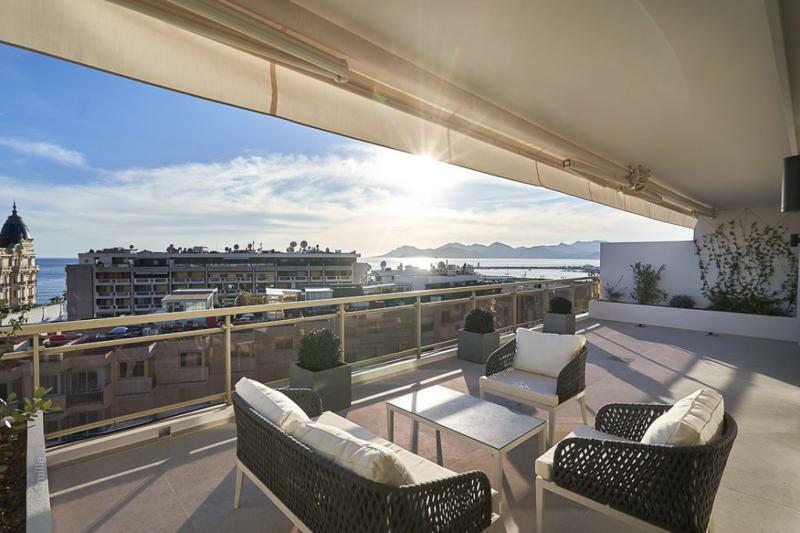 This apartment will make for an unforgettable time in Cannes!